A port of the free, GPL licensed, ScummVM to BlackBerry Playbook tablet and (soon) BlackBerry 10 phones. 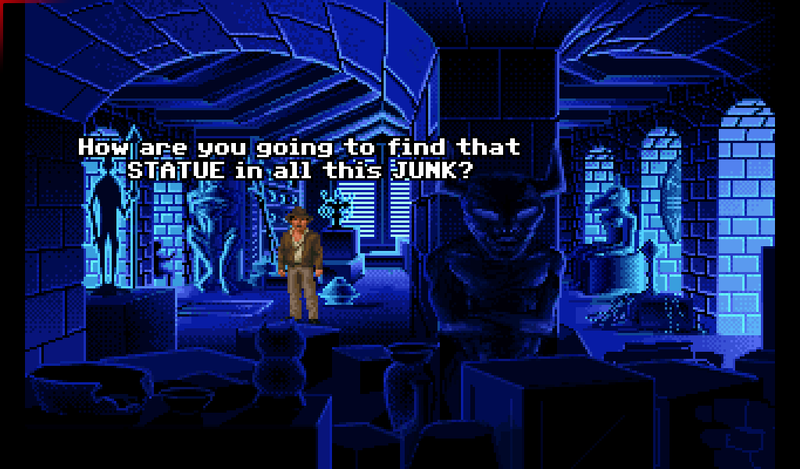 The source code changes to ScummVM are available on github. Most of the control related changes are in SDL, repository with the changes will be soon available. Finger Gestures are used to interact with ScummVM. 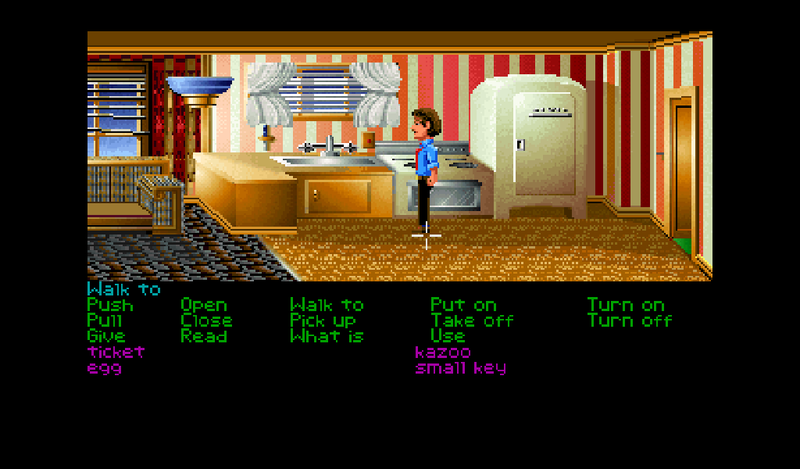 Swipe down to get the game menu (Same as F5 in game), it will either be the game provided menu or ScummVM control menu. To send the ESC key, swipe from lower-left corner to upper-right corner. To display the keyboard, swipe up from the bottom-left corner. Bluetooth mouse & keyboard should work, mouse unfortunately does not yet move as you would expect. 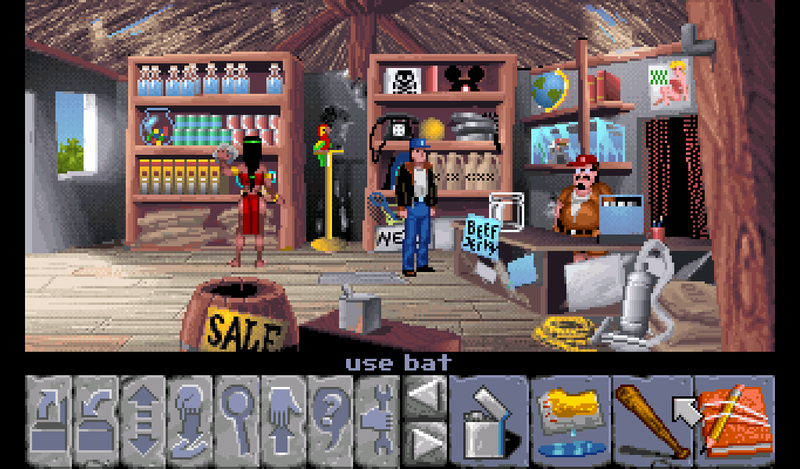 The official ScummVM site offers a bunch of freeware games that you can download and play. For commercial games, GoG is a great source! Please respect copyrights and only play freeware games and games you own! You can of course use your own copies of supported games. Copy the data files to a shared location on your device. 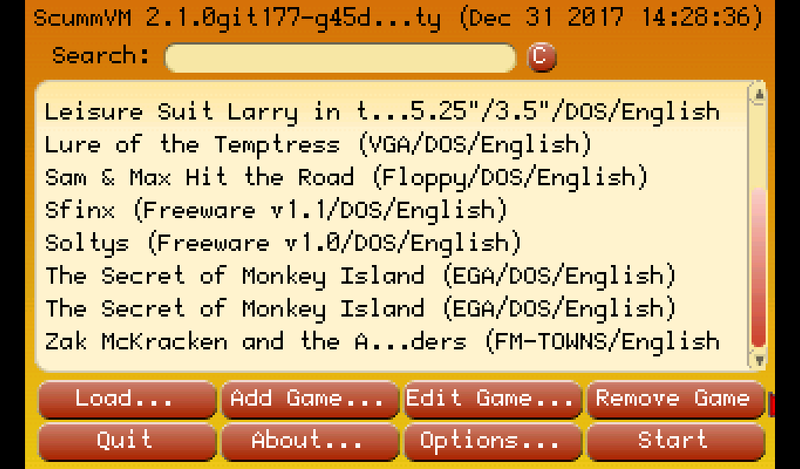 From the ScummVM configuration UI, click Add game button and browse to the data files. The recommended configuration is Graphics mode: Normal, Full Screen, No aspect correction.